Search is evolving, matching the ever changing behaviour of its user and the next chapter of the search engine story looks to be reserved for voice search. With the advent of the mainstream voice-search-enabled personal assistants, we’re seeing an evident growth in voice search usage. With the likes of Siri, Alexa, Cortana and Google Now, the pocket-sized personal assistant is quickly becoming a part of everyday life and an increasingly more popular way for finding information. Why wouldn’t it be? Fast, hands-free search that allows you to multi-task sounds more appealing than it’s slow, hands-based text alternative. 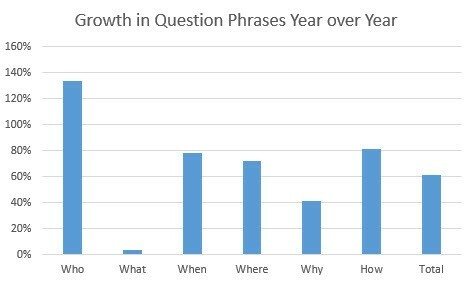 This growth is showing no signs of slowing down either, Google recently announced that around 20 percent of all searches now have voice intent. When you take into consideration that around 100 billion searches are performed on Google a day, that’s a phenomenal amount of voice searches already. 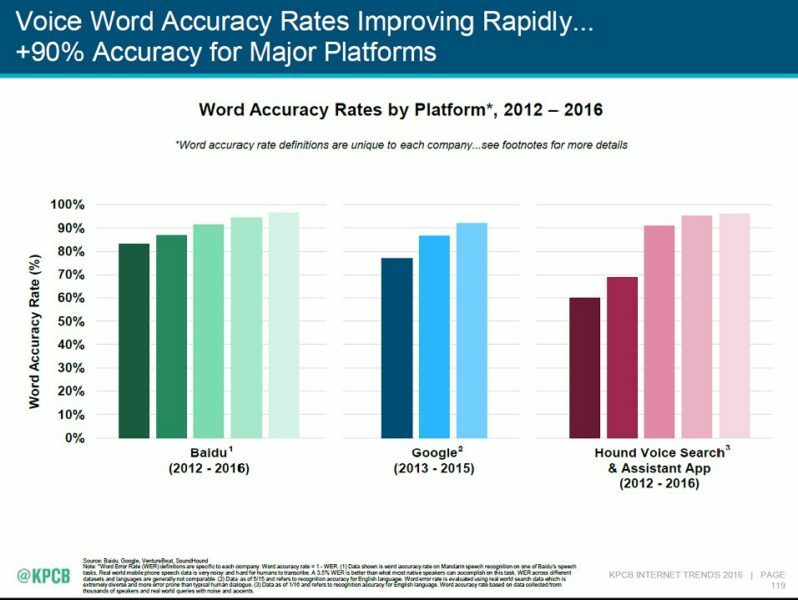 This is expected to only continue, comScore predict that by 2020, around 50% of searches will be performed using voice – madness. We’re at a point where talking to an object for assistance is becoming increasingly ‘normal’ (although not completely, just yet). Whether we’re asking Siri to direct us whilst driving, making an online purchase with Alexa or asking Cortana to find facts about something, we’re becoming more susceptible to interacting with our personal assistants and using our voice to search. Like with everything new, there needs to be a period of readjustment and from a search marketing perspective specifically, allowing some time to realign our marketing strategy to match change. There is no denying it, voice search is going to change the way people search – this ultimately creates a challenge for us marketers. To ensure we remain in front of our intended customers and that we’re able to continually grow in search, we need to adapt to the changing search behaviour that voice search will create. Before ‘death of short-tail keywords’ starts catching on, I’d like to say that I don’t think this will ever happen, there will always be a need for short-tail keyword targeting. What we need to do is start adjusting our current keyword targeting towards more natural, conversational, long-tail keywords. As of right now, there’s no real way of getting information on the users that are reaching your website through voice search…yet. For the time being, we have to make do with what we have available, which is quite a lot (albeit text based long-tail search query information). Looking into long-tail variations of the short-tail keywords currently being targeted helps to provide an idea of what users may be asking to discover pages on your website. Optimising for these queries and adjusting your targeting to become more conversational can improve your websites visibility through voice search. Queries data in the Google Search Console Search Analytics Report. As a search marketer, I want to make sure my clients meet their intended customer at every stage of intent, from finding out information right up to the moment they make that transaction. With the expectations of search speed increased through voice, there’s little room for error. Through SEO, effective keyword research that highlights relevant long-tail queries and understanding the intent behind these queries provides an opportunity that allows us to meet our user at almost all points of intent. Use what you’ve discovered to inform your SEO strategy – ensure you’re catering for each stage of intent based on the types of terms being searched, one effective way of doing this is through powerful content. One effective way we can optimise for voice search is through the creation of rich content specifically catered towards answering questions being asked. Based on experience, dedicated blog posts and FAQ features are an effective way to do this. Remember – the content we’re creating to answer these questions won’t focus on the old on-page SEO optimisation factors, instead we’re wanting to make sure we’re writing in a conversational tone and are effectively building context around the answer we’re giving to the question. When it comes to voice search, we want to make sure we’re giving crawlers as much information as possible to help them understand the context of our content. An effective way of providing context is through the use of structured data. Although you are providing context, you’re also increasing the likelihood of your website being used in knowledge graphs, featured snippets and “cards”. Regardless of voice search, you should already be using this! 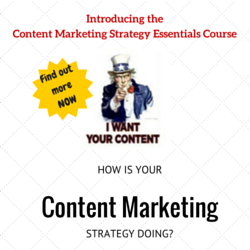 Search the questions you’ve started to address in your content – are you there? Who is? Why? Search the queries users may use to find your business – how are you appearing? Discover what your competitors are appearing for – what are they doing differently? Identify the type of results returned for certain queries – featured snippets? standard SERP? All the information you get from using voice search yourself will allow you to refine your targeting and build upon what you’re already doing. Give yourself the best opportunity of getting geared for voice search. One thing that’s here to stay is the search engine but the way we interact and engage always changes and with the growing popularity of voice search, it will continue to change. Is there anything in particular we should be expecting or could come across? Death of the search box and keyboard? 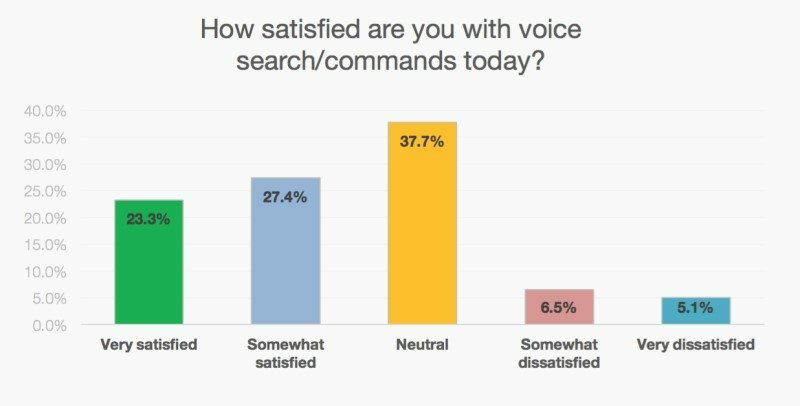 The search box won’t be as depended upon as it has been over the years, and as more and more people become comfortable with the idea of initiating a search with their voice, we will start to see the decline in search box usage but it’s very unlikely it’ll ever become redundant. If house phones can live in a mobile world, the text search box can live in a voice search world. The ‘death of the keyboard’ isn’t something I can see happening either, but similarly to the search box, the dependency will certainly decrease as we eventually turn towards favouring voice over text search. In the grand scheme of things, voice search and personal assistants are still new, so hearing people speaking at their devices is still a little…odd. A study conducted by Creative Strategies identified that of the voice assistant users that they surveyed, only 6% actually used a voice assistant in public, compared to 39% who use them at home. Is this a sign of a stigma existing? Or just a matter of convenience of use? My guess is the former. Either way, through time, similar to what happened with ‘selfies’, the stigma of using voice search and personal assistants will disappear and it’ll all be seen as normal. Right now, we’re not quite there. As mentioned before, we’re still in the infancy of voice search. As voice search becomes more of an integral part of peoples’ lives, the way it is used will evolve. 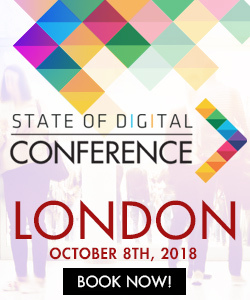 People will start understanding how to interact with their voice to get the results, whilst this is happening search engines and personal assistants will learn about how people are searching and develop their results delivery. It’s the circle of voice search. One thing that I truly believe will really affect the growth of voice search and personal assistants’ are privacy concerns. The more personal assistants learn about us (the way we speak, our preferences and habits), the more effective they become but is that at the cost of our privacy? It’ll certainly be a talking point in the near future as personal assistants become more of an everyday ‘thing’. I for one don’t mind the AI learning from me in exchange for an improved user-experience. It’s easy to forget that we’re talking to a machine. The more we use voice search, the better it’ll get. The AI will learn more about the way we converse and continually develop its understanding of our intent and context. It’s quite clear – voice search is a thing of the now. More and more people will adopt it and it’ll soon become integral to our overall search behaviour. The best time to start optimising for voice search is now. My question to you: are you using voice search? If not, why? If you are, what are you primarily using it for? Leave a comment below or tweet me at @LukeTheMono. Luke Monaghan is an SEO Executive at Koozai, a Southampton based Digital Marketing Agency. He has a keen interest in organic search, specifically the growth of mobile search and how it’s changing the search landscape.